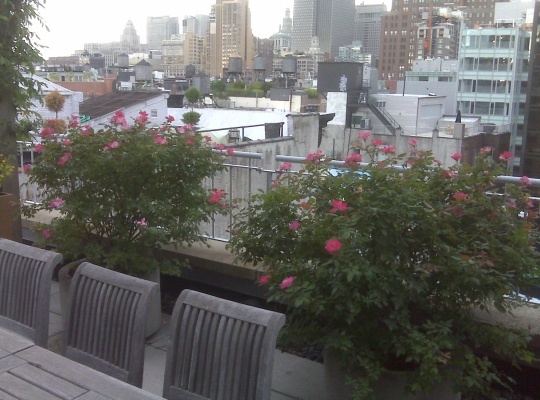 Built in the early 1900’s, the property at 54 Thompson Street in the West Village was completely renovated in 2000. The 7-story former publishing warehouse with 5,000 square feet per floor has commercial spaces on Floors 1-5, and two condominiums on the remaining upper floors. The 6th-floor condominium has 2 bedrooms and 3 bathrooms. The penthouse condominium on the 7th floor has 5 bedrooms, 7 bathrooms, a fireplace, skylight, mezzanine, and rooftop terrace.